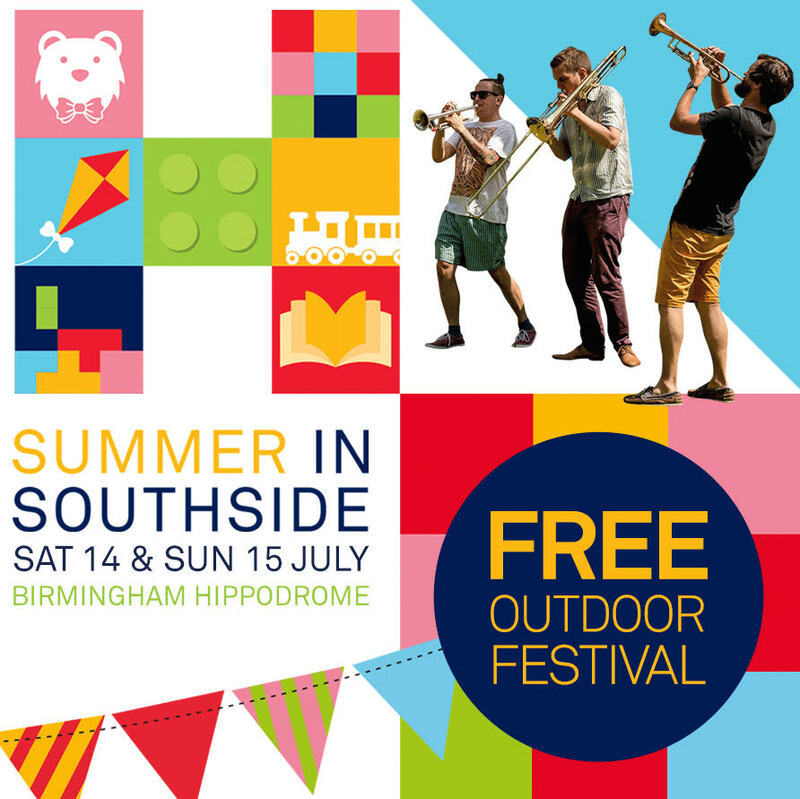 Birmingham Hippodrome’s two-day family festival Summer in Southside heads back to the carefree days of childhood with a programme full of free fun for kids of all ages next month. On the weekend of July 14-15 2018, the streets around the theatre and the Birmingham Hippodrome foyers will be transformed into a summer playground with traditional fun-fair rides, retro arcade games and a whole host of exciting and nostalgic performances to spark your imagination. There will be theatrical delights for all, with plenty of exciting pop-up shows throughout the weekend. This year, The Fabularium return with the brand new outdoor performance There be Monsters. Another exciting new aspect of the festival is the construction of French artist Olivier Grossetête’s Perrott’s Chinese Tower. Over the weekend, the giant structure is built, completed, pulled over and then even squashed. From Monday 9 July, Birmingham Hippodrome are running free public participatory workshops in preparation for the festival where you can help construct the building blocks for this immense tower. There will also be Fun DMC, featuring a daytime Block Party for kids and parents. Visitors will have the chance to learn the art of rap, decorate the graffiti train, compete for your very own gold chain in dance competitions and for all those fathers with smooth moves you can enter the Dad Dance Off! Other festival highlights include street theatre, comedy, installations specialists Dot Comedy, pop-up theatre performances from Pif Paf, live brass band Bostin Brass, live performances from Gorillabot. There will also be independent food stalls, face painting and a whole range of craft workshops and family activities in the theatre foyers. Summer in Southside returns in July 2018. Find out more here.